Alcohol and drug addiction affect approximately 5.4% of the global population, with around 19.7 million American adults (aged 12 and older) battling a substance use disorder, according to the Substance Abuse and Mental Health Services Administration’s most recent survey in 2017. The addiction treatment community has begun to acknowledge drug and alcohol addiction as a disease, calling it a chronic medical illness due to relapse rates that are akin to the likes of hypertension, asthma, and type I diabetes. And because addiction is a complex, chronic, and relapsing condition that changes the brain, treatment is challenging, and no single route is appropriate for everyone. Over the last few years, intense scientific interest has been focused on the most effective treatments for addiction. According to theNational Institute on Drug Abuse (NIDA), the appropriate rehabilitation route for most people suffering from addiction remains a period of withdrawal and detox, followed by longer-term rehabilitation with a primary focus on behavioral therapies. Yet, more recently, therapeutic discourse has turned towards the broader set of tools patients need to avoid relapse. In order to sustain recovery, patients must be equipped to maintain their sobriety outside of the structure of rehab and amidst the challenges of the real world. For this reason, increased attention has been given to the potential of holistic treatments to enhance these therapies and improve recovery rates in the long term. “Holistic” has become something of a buzzword over the last decade or so, having taken on counter-culture connotations. 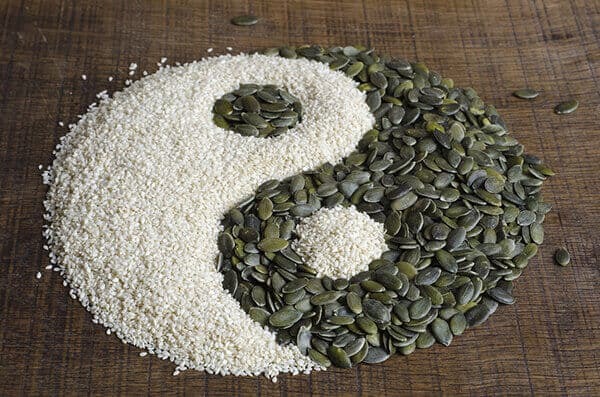 It’s often misunderstood to mean something free-spirited or non-conformist and is sometimes used interchangeably with the words “homeopathy” or “naturopathy” – neither of which are recognized by the medical community. However, the real meaning of “holistic” is the treatment of the whole, rather than the sum of its parts. In terms of medicine, this means treating all parts of a person, rather than just the symptoms that arise in isolation. Over the last few years, the medical community has become more open to the potential benefits of holistic treatments in the recovery of addicted patients. In fact, it’s understood that more than a third of Americans have used some kind of holistic medicine, while three-quarters of all American medical schools include complementary or alternative medicine modules as part of either their elective or required courses. 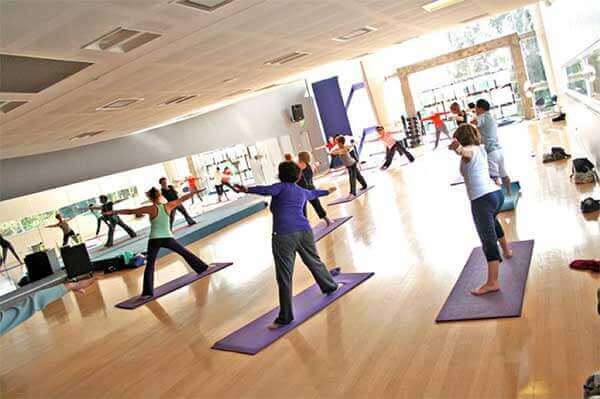 Activities such as yoga, meditation, tai chi, acupuncture, and massage therapies – all of which are offered by Greenhouse – are widely used to help with chronic illnesses such as back pain, depression and anxiety and, increasingly, substance addiction. Several studies shed light on the potential influence of holistic therapies on treatment for drug and alcohol addiction. The purpose of yoga within a therapeutic setting is to focus the mind, calm the spirit, and strengthen the body through a meditative flow. Multiple studies into the efficacy of yoga as a driver of successful drug and alcohol rehab have demonstrated that yoga increases the amount of GABA neurotransmitters in the part of the brain that’s also targeted by benzodiazepines and alcohol. The increased GABA neurotransmitters produced by yoga can help reduce anxiety, insomnia, and depression, all of which can contribute to substance use and may be risk factors for relapse among those in recovery. Alan Marlatt, the Director of Addictive Behaviors Research Center at the University of Washington, has spent over 30 years studying the benefits of meditation on drug and alcohol rehabilitation. Marlatt has published several research findings to support the notion that vipassana meditation (or mindfulness) can help patients avoid relapse, particularly among those with whom 12-step programs such as Alcoholics Anonymous don’t resonate. In one example, he put his theory to the test in 2006, working with two groups of inmates at a Seattle prison. One group was taught vipassana meditation, while the other went through traditional 12-step treatment, among other traditional modalities. At the 3-month follow-up after release, Marlatt found that those who practiced vipassana were drinking 8 drinks a week and taking cocaine once every 10 days. By contrast, the group using only conventional treatment was consuming 27 drinks per week and taking cocaine once every 5 days. Mindfulness practice uses meditative techniques to help patients observe and accept their thoughts, being fully present in the moment. For addicted persons who can be deemed to be on “autopilot” – getting their next fix without fully thinking about it – the potential benefits for recovery that mindfulness practice holds seems obvious. In fact, a 2009 study looked at several surveys of mindfulness interventions, and most of them proved to be successful in helping addiction rehabilitation in at least a moderately positive way. Even in cases where positive treatment outcomes were not observed in these or the less-rigorous studies included in the survey, researchers noted that patients practicing mindfulness meditation were more accurate in their self-reporting of drug and alcohol use, potentially facilitating better care. It’s common knowledge that exercise is beneficial to health and well-being. How it helps with sustained drug and alcohol rehab, however, is currently under exploration. Medical scientists have, for a long time, discussed the importance of “healthy lifestyle choices” to aid recovery and prevent relapse, but research into the direct outcomes of exercise remains an active field of inquiry. According to several studies, it seems that the benefits we all receive from exercise can be applied to substance addicts to speed and sustain recovery. For instance, some preliminary studies on rats show that aerobic exercise, “ameliorates methamphetamine-induced damage to dopamine and serotonin terminals,” helping to restore function to the parts of the brain damaged by methamphetamine use. Finally, another survey of preclinical studies on the potential of exercise as a treatment for drug abuse, published in the journal Frontiers of Psychiatry in 2011, suggests that the behavioral and neurobiological consequences of exercise may have protective effects against drug abuse. The conventional course of rehabilitation backed by the New York State Office on Alcoholism and Substance Abuse Services (OASAS) suggests that 10% of adults who suffer from addiction are currently living in recovery. With relapse as high as 90% within the first year of recovery, opportunities clearly exist to improve treatment outcomes through a more holistic approach. Given that much of the medical community already acknowledges that successful treatment revolves around the whole person, focuses on the root causes (rather than just the symptoms) and takes a long-term effort (rather than an immediate detox alone), there is significant room for holistic therapies to work in tandem with conventional therapy. Holistic endeavors such as mindfulness, meditation and yoga help to promote a sense of calm and introspection that complements conventional behavioral therapies, while aerobic and anaerobic exercise may be able to help rebalance the chemical disruptions caused by substance addiction. These activities – when provided alongside conventional therapies such as detox, pharmacology (when necessary), and behavioral counseling – can help equip individuals with the tools needed to sustain recovery while living with their addiction in the real world.